PARIS — When Otto Frank first published his daughter’s red-checked diary and notebooks, he wrote a prologue assuring readers that the book mostly contained her words, written while hiding from the Nazis in a secret annex of a factory in Amsterdam. But now the Swiss foundation that holds the copyright to “The Diary of Anne Frank” is alerting publishers that her father is not only the editor but also legally the co-author of the celebrated book. The move has a practical effect: It extends the copyright from Jan. 1, when it is set to expire in most of Europe, to the end of 2050. Copyrights in Europe generally end 70 years after an author’s death. Anne Frank died 70 years ago at Bergen-Belsen, a concentration camp, and Otto Frank died in 1980. Extending the copyright would block others from being able to publish the book without paying royalties or receiving permission. So it turns out that Felderer and Faurisson were right all along. Imagine that! Robert Faurisson Is the Diary of Anne Frank Genuine? Der grosse Kladderadatsch war da. -- D. Eckart Der Bolschewismus von Moses bis Lenin, "Er"
You've got to be kidding me. I'm all for revisionism, but this is not the way to go about it. Anne Frank went through hell, living in the secret annex for over a year where people around her were not positive people. In any given circumstance, writing in a diary would have been her only escape, let alone free time. Do you seriously a young and smart girl would just bottle up her thoughts when she was already going nearly insane during that time? Mind you, there are also pages of deeply personal things written, like her sexuality and liking other girls. It'd have to be really sick of Otto Frank to write that. He edited the publication out of respect for his wife and the dead. OmegaTensei wrote: You've got to be kidding me. I'm all for revisionism, but this is not the way to go about it. Anne Frank went through hell, living in the secret annex for over a year where people around her were not positive people. In any given circumstance, writing in a diary would have been her only escape, let alone free time. Do you seriously a young and smart girl would just bottle up her thoughts when she was already going nearly insane during that time? Mind you, there are also pages of deeply personal things written, like her sexuality and liking other girls. It'd have to be really sick of Otto Frank to write that. He edited the publication out of respect for his wife and the dead. But the issue is the forged / faked nature of her 'diary'. I suggest you read the posted links, especially by Faurisson. A "sick" Otto Frank? Yep, no doubt he was. I thought I read a long time ago that out-of-court royalties had been paid to co-authors, does my memory serve me correct? Here is how you solve the mystery Faurisson hasn't properly investigated. You get the writing materials that were actually used, write with them on separate pages, or one if that makes it easy for you. Then you use ballpoint ink on another and compare it with the other sheets. Even I can tell by looking at the original copy that more than one type of ink was used just by looking at the texture of the handwriting. OmegaTensei wrote: Here is how you solve the mystery Faurisson hasn't properly investigated. You get the writing materials that were actually used, write with them on separate pages, or one if that makes it easy for you. Then you use ballpoint ink on another and compare it with the other sheets. Even I can tell by looking at the original copy that more than one type of ink was used just by looking at the texture of the handwriting. I realize you are having a difficult time with the facts about the fraudulent diary, but your curious proposal is simply irrelevant. The straight forward comparison of the writing content / writing styles by Faurisson as posted do the job, a slam dunk as they say. And combined with the fact that Anne Frank was sent to the Auschwitz / Birkenau labor camp, not murdered, transported out of Auschwitz to later contact typhus at Belsen rather demolishes the entire marketed myth. Hannover wrote: And combined with the fact that Anne Frank was sent to the Auschwitz / Birkenau labor camp, not murdered, transported out of Auschwitz to later contact typhus at Belsen rather demolishes the entire marketed myth. Anne Frank had just turned 15 when she arrived at Auschwitz, so she was spared, since she was healthy enough to work. If she was deemed available for work at Auschwitz she would never have been transported out of Auschwitz. And since she obviously wasn't available for work she would have been gassed according to the 'holocaust' storyline, which she wasn't; and of course nor was anyone else. Anne Frank had a choice to stay in Auschwitz. She and her sister Margot actually originally wanted to go to another camp prior to this, but her contraction of scabies kept her at Birkenau longer. Her mom, and needless to say herself, thought Bergen Belsen would be better. Which kind of makes sense given that the girl thought she was in a death camp and was being traumatized by seeing every kid pass by and never see them again. Um, she was transported out -- to Belsen. Remember? I sincerely cannot decide whether 'OmegaTensei' is being sarcastic or not. Can you clarify as to whether you are serious OmegaTensei? I mean, are you trying to suggest everyone knew they were in a 'Death Camp' but they had a choice whether they could transfer to another that wasn't a death camp, even though they were ill? That was kind of the Germans wasn't it? Bless their cotton socks. By the way, Belsen was the de-facto 'Death Camp' in my country up until the mid eighties when they had to start moving the goal-posts because revisionists were becoming a serious problem for them. Up until that time any crap the schools were brainwashing kids with, Belsen was used as the evidence. I'm not being sarcastic, but I could be wrong. Nobody could have known better about Auschwitz because of the radio mentioning gas chambers there. One could rationally point out that they could stay if they wanted because Auschwitz was the largest camp. Of course though, why would you want to stay given what you've heard? It wouldn't matter for her though if she stayed, because typhus deaths were in the thousands at Auschwitz between September and October that year. So according to Thames Darwin's curious logic Frank was sent all the way to Auschwitz, but then was very inefficiently sent back to Belsen where she could then work. This is preposterous for the obvious waste of resources & time and further falls apart when we consider the fact that Bergen-Belsen had no use for labor, it was strictly intended for the exchange of German POWs held in Allied concentration camps. Obviously Anne Frank was found to be unavailable for work at Auschwitz, and again, according the marketed 'holocaust' storyline she then would have been gassed. She nor anyone else was gassed. OmegaTensei wrote: I'm not being sarcastic, but I could be wrong. Nobody could have known better about Auschwitz because of the radio mentioning gas chambers there. One could rationally point out that they could stay if they wanted because Auschwitz was the largest camp. Of course though, why would you want to stay given what you've heard? It wouldn't matter for her though if she stayed, because typhus deaths were in the thousands at Auschwitz between September and October that year. What "radio" are taking about? Please give a specific source. In fact, the British decodes* of secret messages from Auschwitz NEVER mentioned 'gassing', never. You too fail to acknowledge the marketed storyline about Auschwitz which says those not available to work were gassed. Instead she was sent out of Auschwitz to the non-labor camp of Bergen-Belsen, see my previous post. Wrong again. The Frank family was first sent to Westerbork, which was one of those transit camps you guys are so hot on. 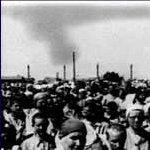 Trains from Westerbork went to Auschwitz, although in previous years some went to Sobibor. By the time the Franks were sent to Belsen, it had been taken over by the SS-WVHA, so workers were sent there.